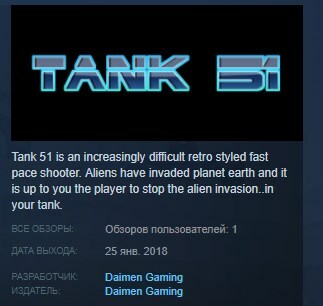 Tank 51 is an increasingly difficult retro styled fast pace shooter. Aliens have invaded planet earth and it is up to you the player to stop the alien invasion..in your tank. This game features 8 levels in a very difficult campaign. There are 7 different enemy types in the game as well as boss´s to defeat.